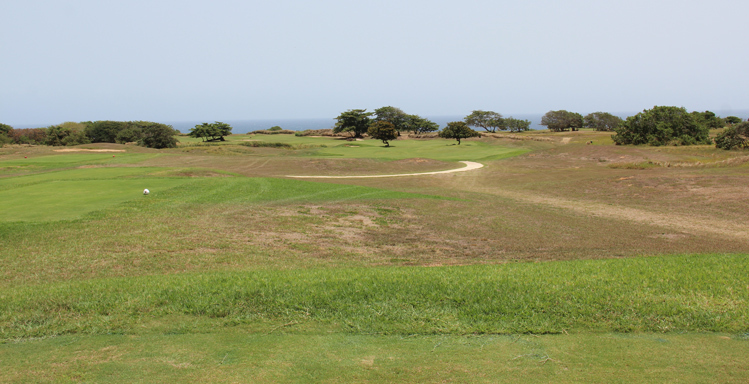 Royal Isabela Golf Course Hole 3: This relative short par four has a drive that ideally will be played to the right side of what the player can see from the tee. 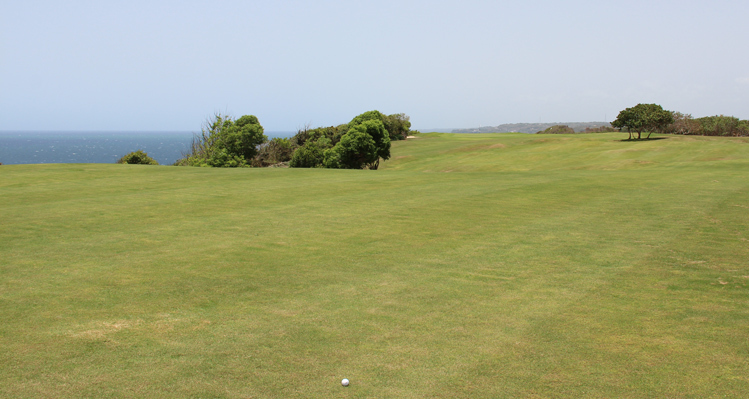 From there, the fairway goes way downhill to the green, so a strong drive can leave very short approaches. Tee shots, however, that go too far left or right will be blocked by trees or lost. The green area slopes strongly from right to left. 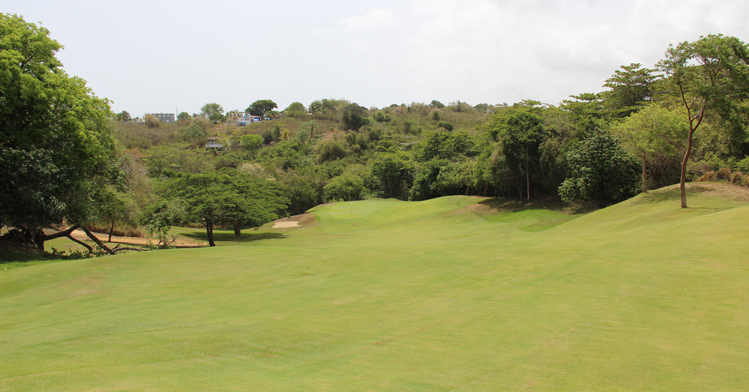 Royal Isabela Golf Course Hole 5: This par four is downhill and features some trees in the middle of and in close proximity to the fairway, but they can be flown with a solid strike. The green is tiered and features hills around with long being absolutely dead meat. Royal Isabela Golf Course Hole 9: Fortunately, this island par three is not long as the green is not terribly big. 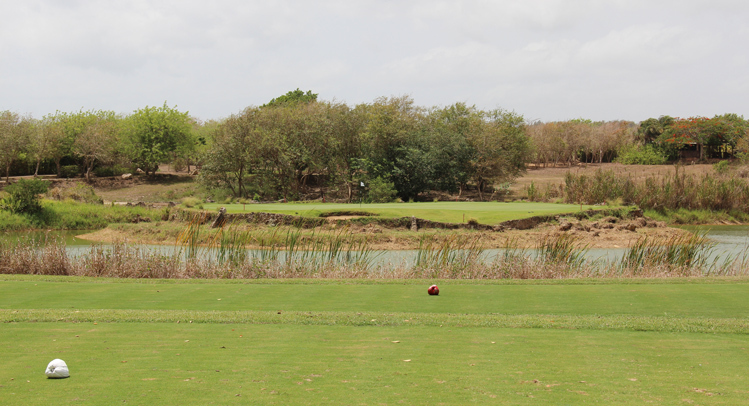 Royal Isabela Golf Course Hole 10: This strategic par five requires accuracy and commitment to a plan. The tee shot has water left and trees and a bunker that plague the landing area. Laying up short of them is prudent and will allow for a second shot to be played across the corner of the dogleg left. A big drive can afford a chance to cut the corner to hit the green in two with a draw or leave a chip to the green. However, there is an enormous bunker front and left of the green and thick trees on both sides. The green in very unique as it is long, narrow and actually three-tiered, running away from the front to the back of the green, which drops off at its end. 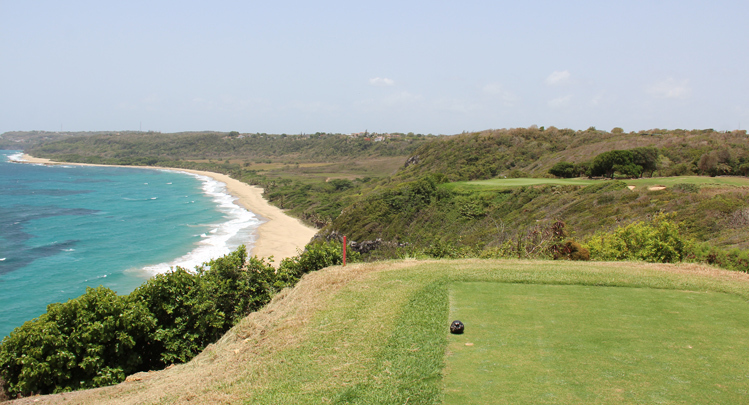 Royal Isabela Golf Course Hole 12: This short par four features on of the most spectacular tee boxes anywhere. Playing usually downwind, only a long iron or fairway wood is needed off the tee, but don't go left or right as that ball won't be seen again. The uphill approach will likely be short to a small green. Royal Isabela Golf Course Hole 13: This par five actually feels a little foreign to the back nine as it is framed by palm trees throughout. The tee shot is fairly open and then the hole goes over and bends around a large waste bunker. There is little benefit to being aggressive as the green complex is surrounded by thick rough covered mounds and long grasses. 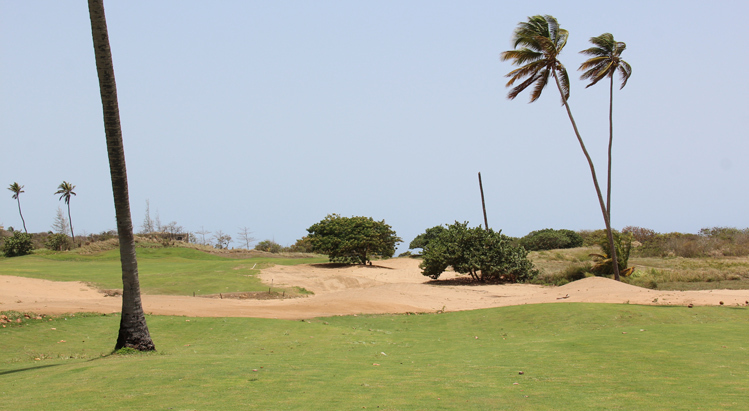 Royal Isabela Golf Course Hole 14: The first of three par fours playing into the prevailing wind, this one is the most difficult. Straight, but with the cliff in play on both shots, the green is uncomfortably close to oblivion, so the large bunker right of the green really requires some guts to earn a GIR. Royal Isabela Golf Course Hole 15: This par four slips away from the cliffs but features a great second shot that bends left to a green nestled between to sets of trees. There is also a bunker left and right of the green. 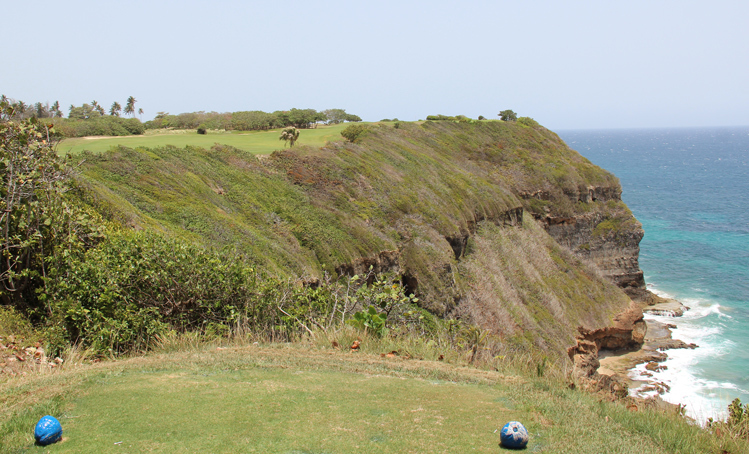 Royal Isabela Golf Course Hole 16: The return to the ocean cliffs and views happens on the slighly shorter 16th hole. However, the angle of the tee shot requires a good drive to flirt with the edge of the cliff. The approach is then slightly downhill to a green with a couple of pot bunkers plaguing its edges. Royal Isabela Golf Course Hole 17: One of the most idealistic tee boxes on earth affords incredible vistas of beach, jungle, reef and coastline. However, for the golfer, there is also despair to know that there is no bailout left, long or short of this green. The only safe haven for a miss is right of the green and, thanks to a local rule, one gets a free drop out of the trees just right and behind the green. Of course, there is also a very large curved tier that separates the front left third of the green from the rest of it. So, even if one hits the green, they can still have a tough series of putts to be able to claim par on this breathtaking par three.